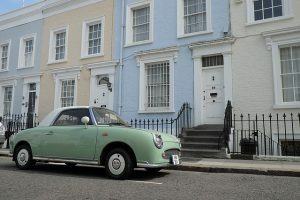 It could well be a better year for the UK’s property market as a whole, and particularly for tenants and first-time buyers. Various changes in government policy and an increase in construction projects look set to boost the fortunes of those looking to get started on the property ladder. Here are the major factors that will influence the property market. It’s always worth keeping an eye on trends and economic changes, particularly for property investors. By staying one step ahead, investors can make sure that they are channelling funds in the most effective direction. We’re expecting to see another 0.25 per cent rise in interest rates in Spring 2018, which will take the Bank of England base rate to 0.75 per cent. In real terms, this will add £22 to the average £175,000 tracker mortgage. As more than half of all mortgage borrowers are on fixed rates, it’s unlikely that most homeowners will struggle with this rise. As the economy remains weak, the market isn’t expecting any further rises across the year. It’s likely that mortgages will stay cheaper, but as inflation is still hugely outpacing wage increases, they will still feel difficult for many. New home building has finally risen, with figures showing 217,000 new houses on the market in 2016-2017. This is up an impressive 20 per cent on the year before, but actually only brings the total back to levels before the crash. It’s also less than the 300,000 target set by the government. If migration continues to fall as it has since Brexit, and we see more construction activity then it’s likely that housing supply won’t be such a big problem in the future. Higher taxes and restricted lending criteria are slowly moving the focus away from property speculators over to homebuyers. When the Chancellor abolished stamp duty for properties worth up to £300,000 bough by first-time buyers, it saved 80% of first timers up to £5,000. However, the Office for Budget Responsibility says that it will raise house prices by 0.3 per cent, and we’ll see this increase in 2018. The help-to-buy scheme has also been given £10 billion of investment, which will provide financing up until 2021. There have been many years of rent increases, but it looks like that’s coming to a halt. Average rents in the UK increased by less than 1 per cent in 2017, and decreased in London. As salaries remain under pressure from inflation, it looks unlikely that there will be many real rent increases this year. The proposed ban on letting fees in the spirit of levelling the rental playing field, and banning unpredictable and unfair costs, will also be good news for tenants. However, it’s unclear when this will come into effect. There has been no date fixed for the introduction of the ban, but the government has said it will be at some point in 2018. For buyers looking for premium property in London, there are plenty of skyscraper developments underway. One Nine Elms is set to change the London skyline with its 56 storeys during 2018. The first buyers will move in to the luxury property in 2019, with prices starting at £800,000. While it will be London’s highest residential building will be quickly topped by the Spire. Located in Docklands, it will have 67 storeys comprising 861 suites. They’re priced at around £2 million as a starting price and will be finished in 2020. This entry was posted in House Prices and tagged 2018, Fortitudo Property, Property Market, Richard Carr by Richard Carr. Bookmark the permalink.